The Independent, Times, Telegraph, Sun, Guardian, Express and Mail report on the HMICFRS report into the police response to stalking and harassment. Coverage notes the inspectorate found that police were not protecting victims and that investigations are not as thorough as they could be despite the number of stalking cases and the number of victims being killed both rising. There is also coverage of the report on Sky News this morning. The piece notes that the report says improvements have been made but no single definition of stalking has been adopted and that reports of stalking have gone up 40% in the last two years. Stalking is an insidious crime that has a deep and significant impact on victims’ wellbeing. Both online and offline, perpetrators leave victims feeling constantly at risk and looking over their shoulder. The Government takes its response to stalking seriously, which is why it has provided more than £5 million for tackling stalking, as well as backing the Stalking Protection Act that will offer additional security to victims. The report identifies a positive step change in the police’s national response to stalking in the last 15 months, and action is underway in a number of areas. Last week, the College of Policing published new training for police forces on how to respond to new reports of stalking, and guidance for investigating stalking cases will follow later this year. The Home Office works closely with the National Police Lead for Stalking and Harassment to ensure an effective police response to stalking. 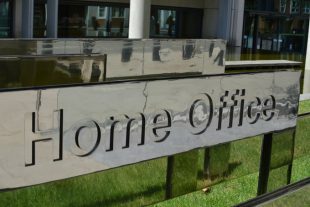 The Independent reports that the Home Office has been urged to remove caps on the Windrush compensation scheme. It notes that MP David Lammy accused the Home Secretary of providing “false reassurances” to Windrush victims after it emerged the department has set out “fixed sums” on how much money can be awarded for different losses. The Home Secretary and the Immigration Minister are committed to righting the wrongs experienced by the Windrush generation. Launching the Compensation Scheme is a crucial step in delivering on that commitment. There is no overall cap on the amount of compensation an individual can receive under the scheme. However some categories, such as legal fees associated with immigration applications and access to certain services, like banking or housing services, have a maximum amount that can be awarded. The articles report that seven members of the Devon and Somerset Fire and Rescue Service have just completed two months of legal and practical training and are ready to start work as police officers across the region. Decisions on deployment of personnel are rightly for the leaders of local police forces and fire and rescue services to determine. This is a local initiative between the Chief Constable and Chief Fire Officer.